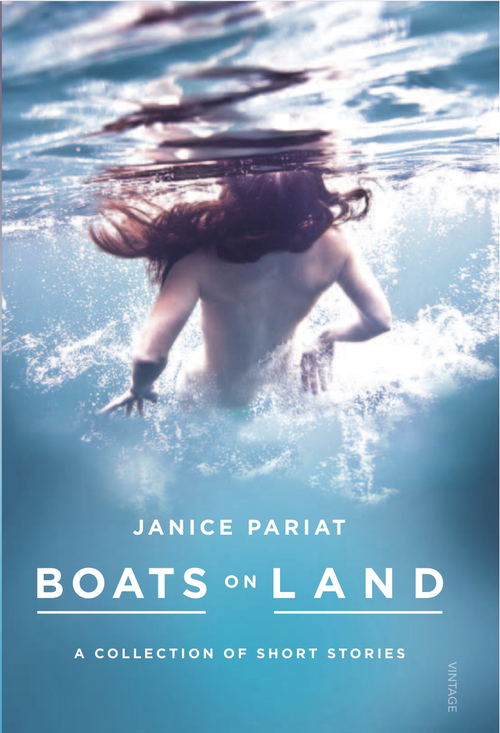 Review of Boats on Land by Janice Pariat. This collection of short stories won the Sahitya Akademi Young Writer Award in 2013 and the Crossword Book Award for Fiction. These are highly prestigious and a fitting acknowledgement of this talented young writer from Shillong. How frequently we find ourselves profoundly unseated by the transience of it all, the impermanence of a life lived, the changing ways of the world. The Japanese have a term for it: mono no aware (literally: “the pathos of things”). 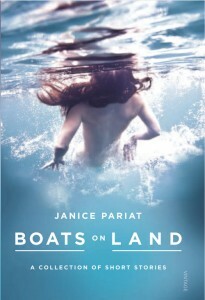 Janice Pariat’s debut book, a collection of fifteen short stories called Boats on Land, grapples vividly with this sort of wistfulness.These are days quietly observed, reflections tucked away, fleeting impulses and stolen flashes unchained from the stillness of memory and set free into ephemera. What Pariat does is hunt these unwilling moments down with her wispy butterfly net of words and cast them down for permanence. Once printed, the word is feeble and carries little power. It wrestles with ink and typography and margins, struggling to be what it was originally. Spoken. Unwritten, unrecorded. Old, they say, as the first fire. Free to roam the mountains, circle the heath, and fall as rain. We, who had no letters with which to etch our history, have married our words to music, to mantras, that we repeat until lines grow old and wither and fade away. Until they are forgotten and there is silence. Most of the stories are set in and around Shillong, and the landscape of Northeast India is stitched resplendently into the fabric of the tales. Positioned across a varied time span, from the 1800s to present day, each story is keenly aware of the passing of time, the particular beauty of forgetfulness, and the frightening tremors of change. Many stories are sculpted into form by myth and magic, bordering almost on the paranormal and the gothic. There are ancient men who cause the downfall of their enemies with ka ktien, mantras that cause the sort of madness that cannot be contained; a doctor cures those who are possessed by thlen, the evil eye; a woman draws her husband back into her home with mysterious charms and echoes; there are dreams that liltingly merge into reality, visions that recall the unknowable, flickering spectres of spirits both good and evil. Pariat draws from Khasi folklore, gingerly ensconcing the tales in dark trickery and old traditions, and balancing them with the shifting forces of society, politics, and popular custom. What does it take, I think, to have faith in things beyond the ordinary? Age? Childlike wonder? Is it right to cling so fiercely to the world? As they absorb my solitude, the silence of the distant hills and the drifting indifference of the clouds, I think of disappearances, the ones that surprise and those that don’t. At first, I am steeped in sadness. Then I notice how the air fills with cicadas, the trees cast their trembling shadows on the water, the reeds bow in steady reverence, I realize that no one is truly ever gone. All voices are heard in a river’s murmuring. This town, according to my parents, with its constant unrest and wanton youth, was headed for nothing but disaster. They couldn’t understand it, where had it gone? The peaceful little place they’d grown up in, with its quaint British ways and pretty bungalows, its safe streets and pine-dappled innocence. They’d watched it transform before their eyes. Some of Pariat’s stories excavate the mystical and the vulnerable with nuanced, intense text, furtively capturing moods of displacement and stillness. In “Sky Graves”, Bah Hem undertakes a long and arduous journey at the behest of a boy who has eyes like his dead son. The title story is a revelatory coming-of-age tale that somehow steers clear of almost all growing-up clichés. Elsewhere, “Laitlum” captures the unsettling precariousness of freedom through the fretful wonderings of an adolescent girl. In “19/87”, a Muslim tailor, who has witnessed years of growing intolerance, hovers uneasily between the ideas of home and belonging. “The collection lingers on in the memory as much for what is said as for what is left unsaid.” The Asian Age. “Janice is a wonderful storyteller. She has a soft, nuanced voice, meditative in quality, which evocatively brings out Shillong’s landscape and its people.” Open Magazine. “Each short story is a beautifully etched work of art.” The New Indian Express. “Janice joins pantheon of excellence” – Mitra Phukan, Jahnavi Barua and Anjum Hasan. Business Standard. “There is a sense of timelessness to this collection of beautifully crafted short stories which are almost faultless in their perfection. They deserve to be read over and over again.” Full review in The Hindu. “Her style is poetic and self-assured … an ambitious and carefully-wrought book.” Mint Lounge. “Janice deliciously underplays her settings and is adept at conveying both atmosphere and character. 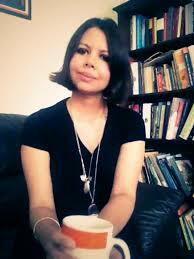 Even her ambiguities have a queer beauty.” The Sunday Guardian.